The information that I share here is every woman’s heritage, it is our birth right and what would have been passed down, revered and celebrated from mother to daughter in our distant ancestry. We are aware that women’s bodies and in-particular our fertility cycle has been shamed, held as taboo and despised around the world as a curse, considered dirty and at best hidden, forgotten and little spoken about. My invitation with deepening into our own individual menstruality is to open to the potential that our cyclical nature holds vast opportunities for us to take charge of our energy levels and therefore to gain greater confidence and understanding into ourselves as women. Cycle awareness is the act of following the energetic dynamic of the menstrual cycle or moon cycle if no longer menstruating. It is the potential to practice ‘inner yoga’ and can be considered as a female mindfulness practice. This female mindfulness practice or inner yoga practices us. The only ‘doing’ that we do is in co-operating with the inner movement of our being as it shifts through its different phases. It is the way that our indigenous ancestors lived the world over prior to our current patriarchal culture. It is the relational way of living in harmony with the cycles of the Earth. It is the way of the Feminine. Our menstruality can be observed in the grand cycle of nature’s BIRTH / GROWTH / HARVEST / DECAY / DEATH & REBIRTH. We can observe this cycle in all living things for example in the life cycle of a rose beginning in BUD / FLOWER / FULL BLOOM / WITHERING / ROSE HIP / SEED. We are not separate from this cycle and just as in nature we can observe that a woman’s menstrual cycle holds two clear poles of energy, ovulation and menstruation. These two poles of ovulation and menstruation in our bodies (full moon and new moon in the monthly moon cycle) can be experienced as our energy expanding and then contracting, giving out and then drawing in, the energy of agency and then encounter or the masculine half and feminine half of our cyclical nature moving through us. Each month we are each given the opportunity to practice being with the masculine / expansive / giving out energy of agency which forms and strengthens our sense of self in the world. The birth/ growth/ harvest part of our cyclical nature. Then in the second half of our cycle we are given the opportunity to ‘be’ with the undoing of this in the feminine/ contracting / drawing in energy of encounter where we meet the undoing of our inner-confidence – the fall – so that we can build our psychological strength. The decay / death / re-birth of our cyclical nature. This psychological strength creates the capacity to feel both grounded in a sturdy sense of self, whilst being permeable and sensitive. Above all enabling us to be able to enter into and sustain an experience of expanded consciousness at menstruation. These two halves of our cyclical nature can be divided further into four clear quadrants very like the energies of the seasons of our year. Our rising energy can be likened to inner Spring and Summer energies and our falling or drawing in energy can be likened to inner Autumn and Winter. Inner Spring is our pre-ovulatory phase – the birth of a new cycle approximately spanning days 5-12. We are slowly emerging from our bleed and gradually picking up energy for projects. We have a growing sense of agency and possibility. Inner Summer is our ovulatory phase – the zenith of growth and potential harvest in our cycle spanning approximately days 12-19. This is where we often feel most ease and flow and are at our peek of energy and self-esteem. Inner Autumn is our pre-menstrual phase – the start of our declining energy ‘decay’ approximately days 19-26. Here we can experience heightened sensitivity- physically, emotionally, mentally – increasing our intuition and insight. Our shadow material can emerge and we can also experience our inner critic. Inner Winter is our menstrual phase – the death and rebirth phase of letting go at menstruation on approximately days 25-6. This is when our bodies are cleansing and we experience a release of tension and often desire time alone. When we rest and move at the pace of the body we can experience a wash of oxytocin as we re-set the start button for our next cycle. Of course, this is a model made out of women’s experience and so each woman will experience their inner seasons differently and that individuality will flag how we can best self-care. Often, we have never been taught to recognise or respect our cyclical nature and so we question, doubt and criticise ourselves in the second half of our cycle. 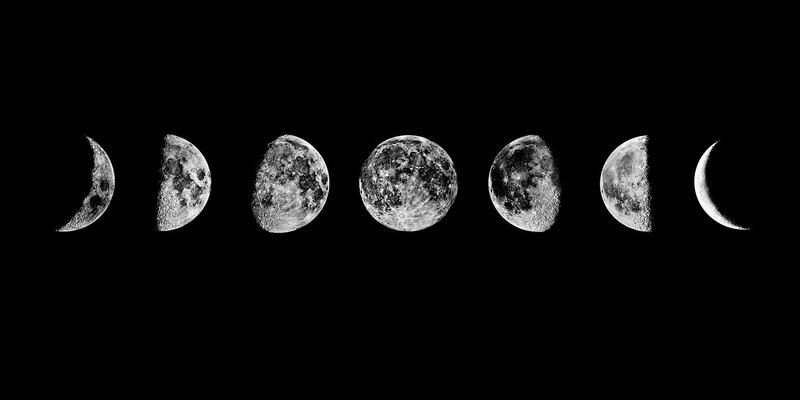 Understanding the phases of our cycle offers the possibility for radical self-care, building inner confidence and psychological strength. By taking the time to slow down and observe the inner critic at pre-menstrum (our inner Autumn) and to rest deeply at menstruation (our inner Winter) we have an opportunity each month to renew ourselves and to avoid the fatigue, burn-out, pain and depression often associated with menstruation. In effect we are then choosing to honour our women’s bodies coming back home to living in a non-linear and therefore sustainable way.